If you spend much time at the Hall of Fame perusing the files of obscure players, it will not be long before you find a note written by Joe Simenic. In particular, if you think you’ve found a promising new lead on one of the approximately 250 mystery major leaguers whose death information is unknown, it will not be long before you discover that Joe Simenic has been there before you. For more than four decades, Joe was at the forefront of biographical research for major league ballplayers. Born in Kostanjevac, Croatia, on August 4, 1923, Joseph E. Simenic and his mother set sail on the S. S. Berengaria from Cherbourg on May 31, 1924, to join Joe’s father in the United States. Upon arrival the family settled in Cleveland, where (with the exception of his military service) Joe Simenic lived ever since. During his childhood, as Joe tells it, he “loved playing baseball but was too small to ever consider it as a career.” It took a couple of fortuitous events to lead him down the path to becoming a stalwart baseball researcher. In 1935 the Simenic family was living at 1029 East 78th Street when a young man named John Mihalic who lived directly across the street at 1030 East 78th reached the major leagues with the Washington Senators. Mihalic was also the son of immigrants from Yugoslavia, and his feat naturally became the talk of the neighborhood. Joe Simenic was especially impressed when Mihalic’s brother Joe gave his young neighbor a copy of an Official Spalding’s Baseball Guide that included his brother’s name. When he became a teenager, Joe Simenic took an after-school job as a page at one of Cleveland’s branch libraries. He soon discovered more editions of the Reach and Spalding guides and spent every spare minute immersed in them. It was the start of a lifelong passion. Duty interrupted on January 14, 1943, when Simenic was drafted into the U.S. Army Air Corps. He served as a Staff Sergeant in England, France, and Germany for the next three years. As is suggested by this anecdote, even as a young man Joe Simenic possessed an ardor for the written word and for setting the baseball record book straight. He also had a determination to get anything he set his heart on, no matter the obstacles. Those traits came together over the next few years as he launched a career and got married. Joe explains: “On January 29, 1948, I began working at the Cleveland News as secretary to general manager Charlie McCahill. I was 24 years old, single and not dating anyone steadily. I was, however, corresponding quite often with an attractive blue-eyed blonde named Katie Novosel who lived in Kane, Pa. (about 90 miles southeast of Erie). I had met her at my sister’s wedding in Cleveland on May 10, 1947 (her father had been best man at my father’s wedding). “At any rate our correspondence reached the point where I wanted to see her often, even if it was only every other weekend (as I had to work Saturdays half a day). I was able to arrange my schedule so that I could work the weekends the Tribe was at home and visit Katie in Kane the weekends the Indians were out of town. “But I had no car at the time so all summer long I dated Katie with the help of a Greyhound bus which would leave Cleveland on Friday evening at eleven o’clock and get into Kane at six the following morning. And on returning I would leave Kane on Sunday evening at eleven and get to the Greyhound bus terminal on Chester Avenue at six Monday morning. Instead of going home I’d walk five blocks to my office at the News, wash up and get ready for work. “I kept this schedule all summer long until World Series time. I was able to get tickets for the fourth game and immediately invited Katie to come to Cleveland, not only for the game but also to look for a job (as the company she worked for in Kane had gone out of business). Joe worked as secretary to the general manager of the Cleveland News for the next decade while he and Katie welcomed two sons, Steve and Tom. But even during these busy years, Joe’s love of baseball found an outlet. His office at the News was two doors away from that of Ed Bang, who had been sports editor since 1907 and had accumulated a gold mine of baseball books. Bang began calling on Simenic to research stories for him, and Simenic began availing himself of Bang’s immense library. Shortly before Bang died in 1968, he passed his entire collection of baseball guides on to Simenic. In 1960, the Cleveland News folded. Fortunately for Joe Simenic, the News and the Plain Dealer had long been under the ownership of the Forest City Publishing Company, and he was offered a position as secretary to Plain Dealer publisher and editor Thomas Vail. Simenic remained at the Plain Dealer until his retirement on January 1, 1992. At his new position, Joe Simenic got to know Plain Dealer sports editor Hal Lebovitz, who wrote a column entitled “Ask Hal, the Referee.” Soon Lebovitz was asking for Simenic’s help on arcane inquiries, and in 1961 he passed along an inquiry from Baseball Hall of Fame historian Lee Allen about a man named Johnson Fry who pitched in a single game for Cleveland in 1923. Joe Simenic solved the longstanding mystery of Fry’s identity and started another enduring partnership. Sadly, Allen never got to see any of those plans come true. Five days before the article was published, he died of a heart attack at the age of fifty-four. But Joe Simenic forged on and gained new allies in the quest to collect accurate biographical information on every major leaguer. Lee Allen’s successor, Cliff Kachline, continued work on the project and the progress continued. On August 10, 1971, Simenic and fifteen other baseball researchers traveled to Cooperstown, New York, to form the Society for American Baseball Research (SABR). Biographical research was the hallmark of many SABR founders, with Simenic, Kachline, Bill Haber, Tom Shea, Bob McConnell, Tom Hufford, Bill Gustafson, Bob Davids, and Ray Nemec all making this a main focus of their efforts. As a result, the once staggering number of unidentified players drops each year, and today there are fewer than 300 “missing” players. Joe Simenic also found a number of ways to combine his passion for baseball research with his devotion to the Indians, especially after his retirement from the Plain Dealer in 1992. He compiled an exhaustive list of every major leaguer who had ever appeared in a Cleveland uniform that was included in the club’s press guide. In 1993 he worked with Mel Harder to help a New York artist who was doing a painting of Cleveland’s League Park and wanted to get all of the details right. In the course of the project, Joe found that Harder had no record of his career, so he created and presented Harder with a detailed record of each of his 582 pitching appearances for the Indians. In the mid-1990s Russ Schneider recruited Simenic to be coauthor of The Cleveland Indians Encyclopedia. After two years of research, the book was published by Temple University Press in 1996 – by good fortune, its release followed the Indians’ first pennant in more than four decades. In a review, Steve Gietschier of The Sporting News wrote that the book was “above all … well organized” and singled out its records and statistics section. Those judgments came as no surprise to anyone familiar with Joe Simenic’s work. Perhaps Joe Simenic’s greatest contribution to the baseball research community was his willingness to share his knowledge. Over the years he continued to add to the collection given to him by Ed Bang, and his basement library included more than 500 baseball books, over 150 reels of microfilm of Sporting Life and The Sporting News, a microfilm viewer, and assorted other memorabilia. Characteristically, he also organized his research on the dwindling number of “missing players” so as to be able to respond to fellow researchers with detailed notes. Longtime SABR Biographical Committee chairman Bill Carle noted that whenever he called Joe with a question on a player, Joe was able to consult his microfilm reader and his notes and call back within hours with the answer. 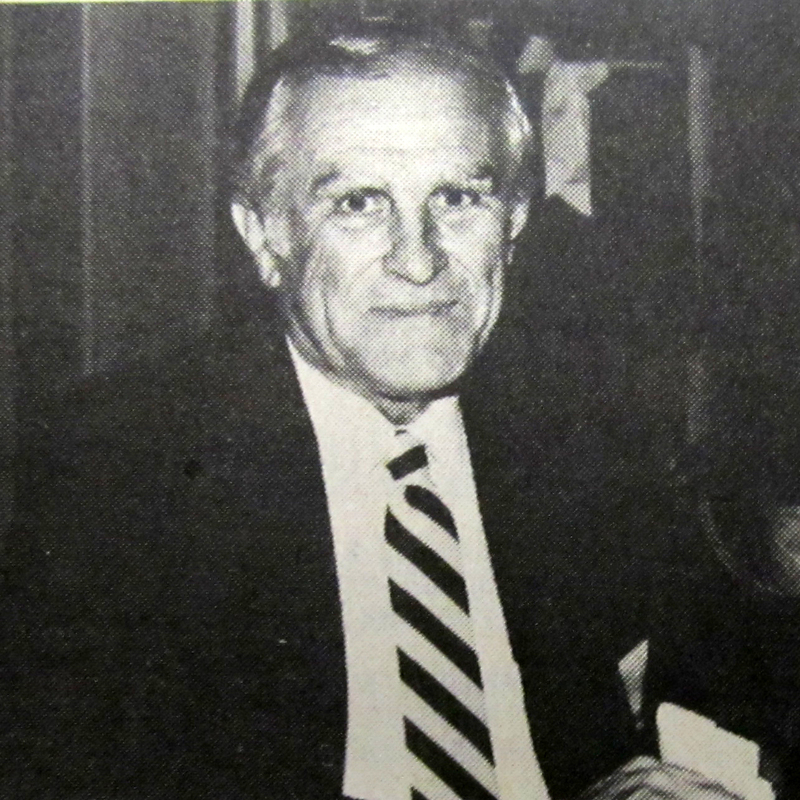 In 1985 SABR established the Bob Davids Award to honor members “whose contributions to SABR and baseball reflect the ingenuity, integrity, and self-sacrifice of the founder and past president of SABR, L. Robert ‘Bob’ Davids.” Fittingly, Joe Simenic was the second recipient of the award in 1986. Of course, biographical research never ends and pursuit of the remaining unidentified major leaguers continues, with Joe Simenic’s notes providing the impetus for many of those quests. As with any good sleuth, he also has a few tantalizing tales to tell about near-misses. One of those stories concerns a player named Moxie Divis who played three games for the Philadelphia Athletics in 1916 and then vanished into obscurity. When Divis’s identity was finally determined, Joe was stunned to find that they had worked together at the Cleveland News. But by then Divis was already dead, so Joe wasn’t able to ask his onetime colleague about the hand with which he batted and threw. Those details remain missing from the baseball encyclopedias and record books. But the fact that such gaps are now so few is a testament to the ceaseless labors of researchers like Joe Simenic. Although he was too small for a career as a baseball player, Joe is one of the true giants of baseball research. Joe Simenic’s wife, Katie, passed away in 1988. He died on February 7, 2015, at the age of 91 in Columbus, Ohio. His immediate family included his two sons and three grandchildren. Dan Coughlin, “The Super Baseball Detective,” Cleveland Plain Dealer Sunday Magazine, May 25, 1969, 40, 42, 52; Lee Allen, Cooperstown Corner: Columns from The Sporting News (Cleveland: SABR, 1990); personal correspondence and conversations with Joe Simenic.